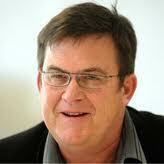 Sean Plunket moving on - what next for NewstalkZB? Whale reports Sean Plunket is moving on. He was off air the day before the TVNZ Close Up demise was announced leading me to wonder if the two were connected. But I also noticed a lift in his mood about a week ago leading me to suggest to my other half that, "Plunket's got a new woman". He just had that boyish wickedness thing going on. He's very, very funny when in that frame of mind. But maybe I mistook a new relationship for a new job. There was certainly a sense of relief about him. A devil-may-care, let down your hair (sorry for atrocious rhyme) attitude. I've listened to him off and on, whereas when Justin du Fresne was host, ZB was the only station I tuned into. It's more likely now that I'll switch over from the fabulous Sound (97.3fm) after dropping daughter off and singing our way to work, to Michael Laws (who was happily replaced by Rodney Hide yesterday doing a sterling job with the lines filled all morning and Rodney chirping away about his new born baby Grace). In Plunket's first year he made the mistake of treating talkback callers like hostile interviewees. He would lead them through an argument using faulty logic to disprove their position. He had none of du Fresne's congeniality. But this year he had improved. I thought he was warming to the listeners and they to him. If I switched off it was because I wasn't interested in the topic, or some of the nuttier callers were irritating. He could sometimes pull off an unusual idea. When Margaret Mahey died he spent a morning talking to people about their favourite books. It was quite compelling and nostalgic as caller after caller evoked universal memories of childhood fiction. But where does NewstalkZB go now? It wouldn't bother me one iota if they switched the Welllington network over to the national network and beamed in Leighton Smith. BUT he isn't popular with a number of the Wellington audience, who are very parochial and sometimes not that bright. Ironically the programme's very weakness. A permanent post for Rodney perhaps? If you have been voting for politicians who promise to give you goodies at someone else's expense, then you have no right to complain when they take your money to give it to someone else, including themselves. The only problem is, where are the politicians NOT promising to give you goodies at someone else's expense? "Job creation is free in the private sector"
.....the fiscal cost of “creating or saving” jobs in the private sector should equal $0 because true job creation should add value to the employer’s bottom line. In fact, if creating a job was ever a net cost to the employer, a rational employer wouldn’t be hiring anyone — how could his enterprise remain healthy? Further (from me) if a employee in the private sector does turn out to be a cost (eg an investment failure) the cost is born by that business. The lost opportunity stays within that business. It isn't socialised out across every other business or tax-paying individual as happens when governments get involved in job creation. Paula Bennett and her second stage welfare reforms may not yet have gone so far as the workhouse. But despite the mounting evidence of human misery right here and now in our land of plenty, clearly, there is serious Malthus channeling occurring inside the National Party. Charles Dickens wrote the character of Oliver Twist to protest the New Poor Laws. An author today could easily write a modern version. I wonder what role Paula Bennett would play? The reaction to the latest reforms has been so over the top. But this particular writer is an extremist. After her expressions about the female soldier killed in Afghanistan it's a bit rich to evoke her own victimhood at the hands of Work and Income. Professor David Fergusson who has headed the Christchurch Health and Development Study for many years says that "feminist rhetoric" is to blame for the public perception that domestic violence is nearly always perpetrated by men. "The proper message is that both gender groups have a capacity for domestic violence [and] women probably perpetrate more assaults on children then men do," Mr Fergusson said. The ramifications are a public health system that tends to overlook male victims of domestic violence. One example was White Ribbon Day, which he had been critical of because it focused on female survivors of domestic violence and there was "no comparable day for male victims". 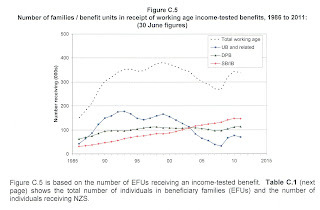 "It is those biases which have been built into our system right the way through it, largely from feminist rhetoric that implies that males are always to blame"
The numbers on benefits move in line with business cycles. When the economy is growing and employers are short-staffed beneficiaries go to work - even those most maligned of beneficiaries, sole parents. 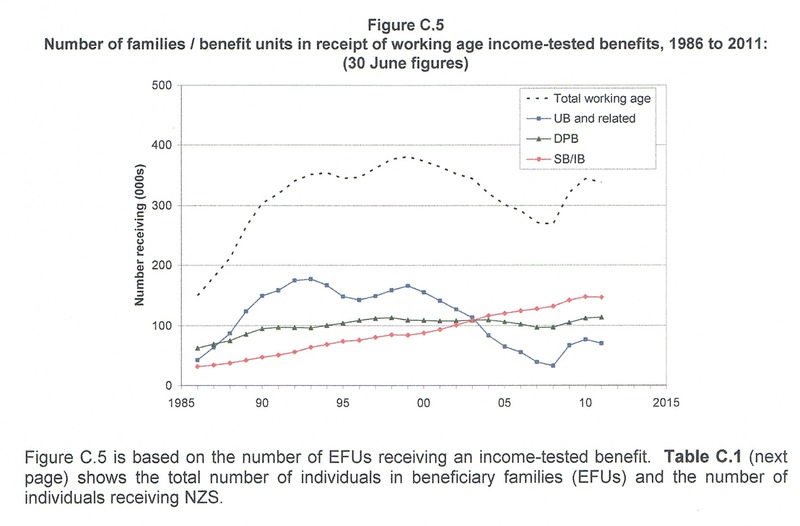 The only "numbers on benefits" moving in line with business cycles are the unemployed. And Gareth's article is most definitely about all beneficiaries. "When well-paid policy advisers are less interested in the cause of a problem than racing to solutions, you know they’re selling the taxpayer short. Such is the case with a recent Children’s Commissioner report into child poverty which allocated just two paragraphs to the causes in a 58-page paper. This apparent lack of interest in the causes is doubly disturbing when his “expert” advisory panel had provided a supporting paper on exactly that." Just how does MSD define 'fraud'? Reconciling these two pieces of information is a struggle. A partnered mother admits she "lied" to Work and Income to get (presumably) the DPB. She claimed her husband was an illegal immigrant who had returned to India. Yet Ministry of Social Development Chief Executive says she won't be prosecuted because "There is no evidence of fraud." There have been many instances of women taken to court and successfully prosecuted for claiming a benefit they weren't entitled to. After lying about being unemployed, claiming the DPB while living with a partner is the most common form of fraud. Perhaps this offending hadn't reached a high enough monetary level to prosecute. Perhaps the Ministry defines this case as abuse but not fraud. Where is the line drawn? The ironic thing about this case is, if India doesn't work out, it's highly likely Ms Heremaia will be soon 'legitimately' collecting welfare.